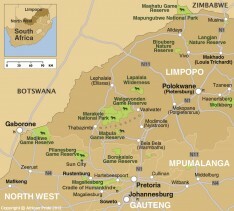 ​With a driving time of around 3 hours, this malaria-free area enjoys easy road access from Johannesburg and Pretoria. The lodges all offer a wide range of activities ranging from horse riding across the open bushveld to exhilarating helicopter rides. There is superb game viewing with many mammals such as lion, leopard, giraffe, white rhino and hyena, as well as over 280 bird species. 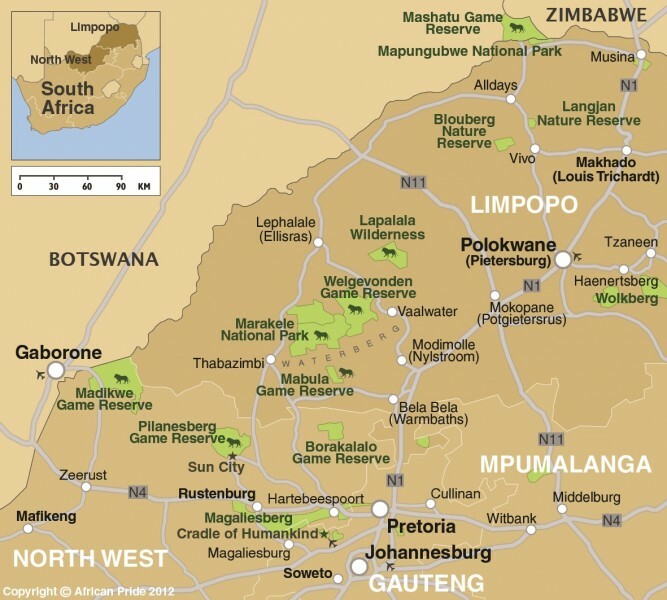 A safari here can be easily combined with a stay at the resort of Sun City or further game viewing at Mashatu in the south-east corner of Botswana.